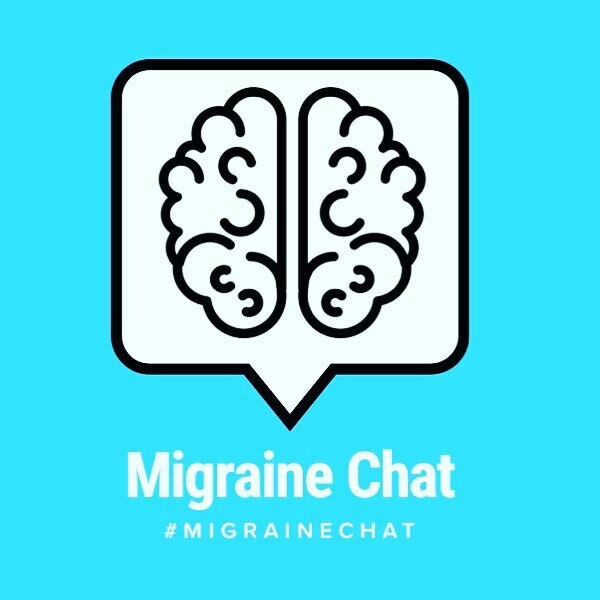 The Brand New Online Magazine for Chronic Migraine! I am really excited to be involved in this project. 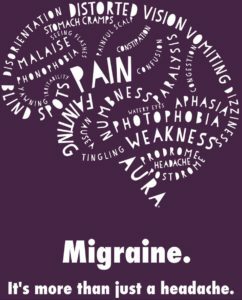 Migraine is something that is so very close to my heart. Let me you a little background. For brevity’s sake, I am going to try to focus mostly on the migraine/headache part of my health and not the Cushing’s which I talk about elsewhere on the website. I’ve had three brain surgeries due to the pituitary surgery that caused my Cushing’s Disease. The second caused lasting nerved damage in my face that has manifested itself in Trigeminal Neuralgia and Chronic Migraine. I started noticing a reddening of my right cheek and a deep throbbing pain after the surgery. For the five years following my surgery I was in near constant pain trying everything from botox to, nerve blocks, to PRP and more. I probably underwent 25 procedures and visited multiple doctors everywhere from UCLA, UCSF, Stanford and the Mayo Clinic. Eventually the situation became such that I could no longer care for myself, and I moved back to Northern California to be with family. After another (and final) pitutary tumor removal surgery and recovery, I was still having pain. Constant pain. I’d begun getting migraine’s in my early twenties and had been treated for them before and had gotten them on a fairly regular basis, but due to the emergence of tumors roughly every 9 years it was hard to trace what exactly had worked and what hadn’t. In 2016 I started with my current medical team and have been happy with them and really love my doctor even though it’s been a really hard road. In early January of 2018 I got a migraine and it would not break. Months went on and nothing would break it. Medicines, emergency room visits, infusions. It took six months to get it under control. Since then we’ve added various therapies including GammaCore and Botox but migraine is a constant part of my life. I have some kind of headache everyday of my life and many days it is migraine: a lie in a dark, quiet room, wishing that sleep will mercifully come so I can wake up on another day–a day that hopefully brings less pain. Chronic migraine is part of my life everyday, and My Chronic Brain is for those who live the same way. A resource, a community, and a place to find answers. Amanda and I met about three years ago on with a tentative exchage on Twitter. What began as a few DMs among members of the ‘chronic illness club‘ developed into a fast friendship. Now it’s loads of texts, I’m friends with her siblings on social media plus I’m pretty sure our dogs are boyfriend and girlfriend. Though we live on opposite sides of the United States, we manage to support each other through a lot of the ugly realities of living with chronic migraine. Illness is such a horrible part of my life, but it has brought me in contact with some truly amazing people. So when Amanda asked told me about her her idea to start an online magazine and aksed me to join I jumped at the chance. I am the Resources & Advocacy Editor, which I am very excited about because I get to use my government affairs background and have an outlet for my inner** wonky policy nerd, while working on something that will help others. Plus it’s a subject that’s important to me. And since all of us working on the magazine suffer from chronic migraine (among other things), it is a volunteer position set up so that we can work around our flares and inevitable bad, keep all the curtains closed days. 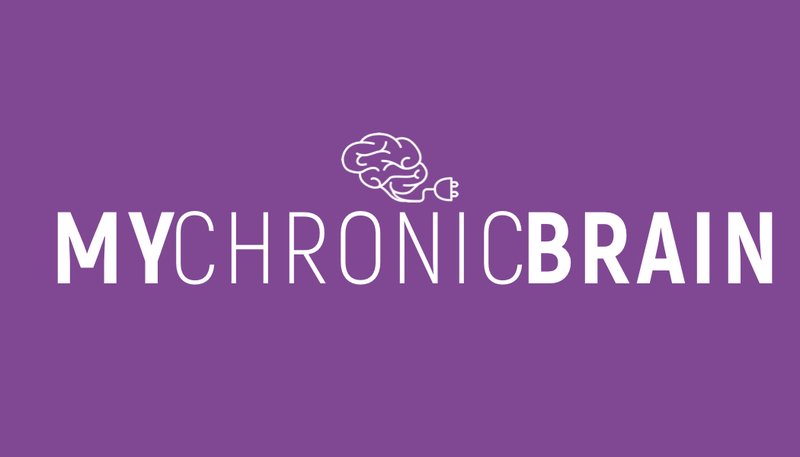 My Chronic Brain is the first magazine dedicated solely to those suffering with chronic migraine. We have an amazing team and I look forward to what’s to come!!! 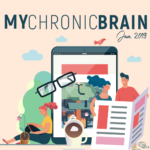 And don’t forget to follow My Chronic Brain on Twitter, Instagram, Facebook & Pinterest @MyChronicBrain. Sign-Up for Medical Oddity Updates!